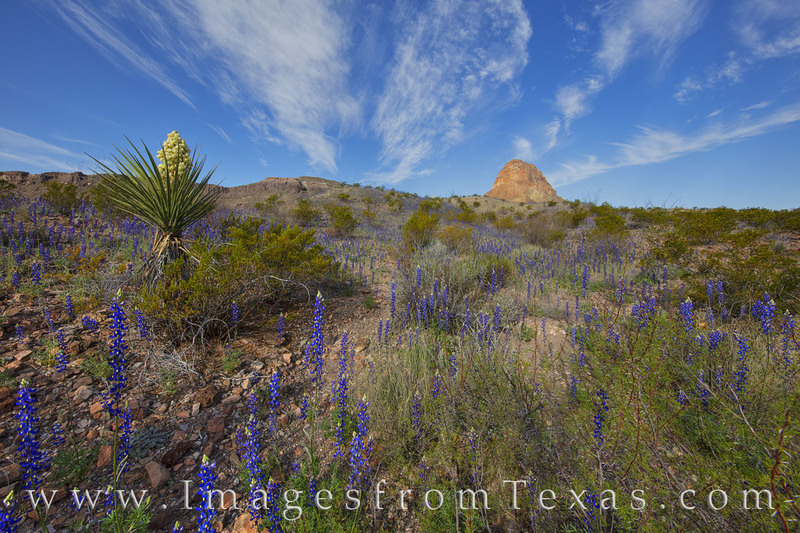 Bluebonnets and yucca were blooming on this spring day in Big Bend National. Park. Just off of River Road West, a rough 4WD road southwest of the Chisos Mountains, fields of bluebonnets added color to the desert landscape at every turn. Photo © copyright by Rob Greebon.